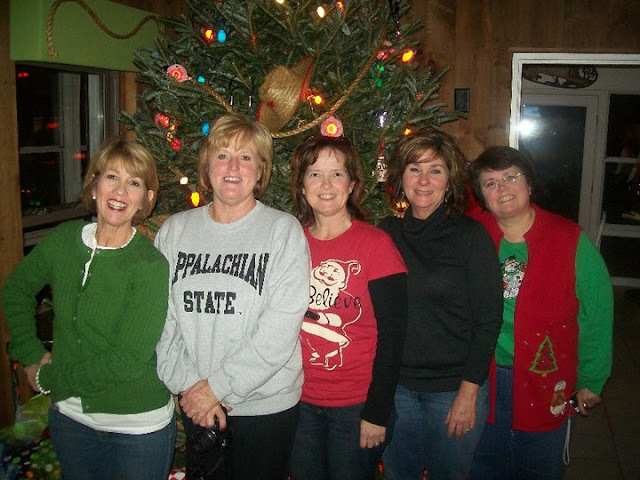 Last night we had our Beach Buddy Christmas meal. It's always so much fun to get together as couples. We don't do it often (as couples) and I love it! You know, it's difficult to have *couple* friends. The husbands of friends are not always compatible just because their wives are friends. We always have lots of fun together and last night did not disappoint. I forgot to take a picture. UGH. But, here is last year's picture. Dee (in the middle) brought dessert. 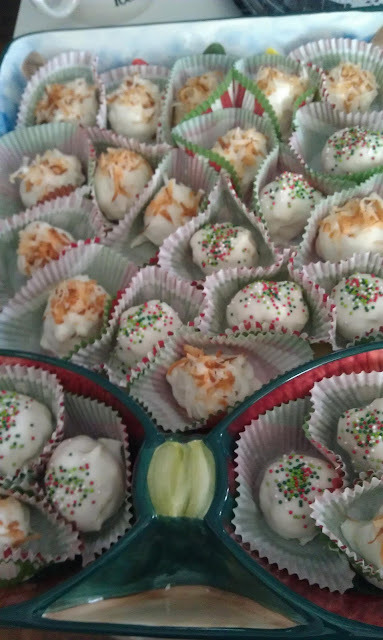 These are called Coconut Cookie Balls. The recipe is from Kraft.....and it's even better than it sounds. Cream Cheese. Coconut. Golden Oreo cookies. White Chocolate. Oh how much fun!!! Look at all you pretty ladies! I hope your holidays have been filled with blessings! And you left off one of the ingredients...white chocolate! You know me, I love my chocolate! LOL These look and sound soooo good. Got to try them! This sounds like a really good recipe. Thanks for sharing the link. What fun for you all to spend time together. Good looking group!